Russell Davis’ plays include APPOINTMENT WITH A HIGH WIRE LADY, THE LAST GOOD MOMENT OF LILY BAKER, THE SECOND DEATH OF PRISCILLA, THE DAY OF THE PICNIC, MAHIDA’S EXTRA KEY TO HEAVEN, and SALLY’S GONE, SHE LEFT HER NAME. They have been produced at various theatres, including People’s Light & Theatre, Playwrights Theatre of New Jersey, Long Wharf Theatre, Center Stage, Yale Repertory, and Actors Theatre of Louisville’s Humana Festival. They have also been presented at the Mark Taper Forum’s New Work Festival, the Sundance Insti­tute Playwrights Lab., O’Neill Center’s National Playwrights Conference, Playpenn, National New Play Network’s Showcase of New Plays, and New Harmony Project. He has been a 2008-10 recipient of a Pew Fellowship in the Arts. He was resident playwright at People’s Light for the residency program of the National Endowment for the Arts/Theatre Communi­cations Group. He has received grants and fellowships from the Pennsylvania Council on the Arts, McKnight Foundation, New York Founda­tion for the Arts, New York State Council on the Arts, Tennessee Arts Commission, as well as two fellowships from the National Endowment for the Arts. He is a past member of New Dramatists in New York. He has been a visiting artist at institutions such as Lehigh University, Yale University’s Divinity School, Virginia Tech. University, Ohio University, University of Utah, University of Puget Sound, and with New York Stage & Film at Vassar College. He and composer Melissa Shiflett were commissioned by the Pennsylvania Opera Theater to develop an opera from his play THE WILD GOOSE CIRCUS. He was commissioned by Repertory Theater of St. Louis to write THE TRAVELLING JEKYL & HYDE SHOW, which was further developed at the Sundance Children’s Theatre Lab. and at the Honolulu Theatre for Youth. His family audience piece THEATRE FOR YOUR MOTHER: THE LITTLE RED RIDING HOOD SHOW was produced by People’s Light & Theatre, Honolulu Theatre For Youth, Orlando Shakespeare Theater, and the New Zenith Theatre. He was commissioned by People’s Light, through a National Endowment for the Arts grant, to adapt Avi’s CRISPIN: THE CROSS OF LEAD (Newbery Medal for children’s literature, 2003). His plays have been published by Broadway Play Publishing, Dramatists Play Service, Baker’s Plays, and by Toneeluitgeverij Vink B.V. in the Netherlands. Selections from plays have been published in various volumes of The Best Women’s Stage Monologues and The Best Men’s Stage Monologues published by Smith & Kraus. He is also a juggler and was one of four jugglers featured in “The Best Jugglers You’ve Never Heard Of” (cover story JUGGLE magazine, Winter 2007, published by the International Jugglers’ Association). He performed for The Road Company’s FLYING LEMON CIRQUE, for THE INSTANT CITY THEATRE CIRCUS at Pittsburgh’s City Theatre Company, and in People’s Light’s production of his new vaudeville piece for all ages, THE THOUGHTS & TRAVELS OF NICKI. 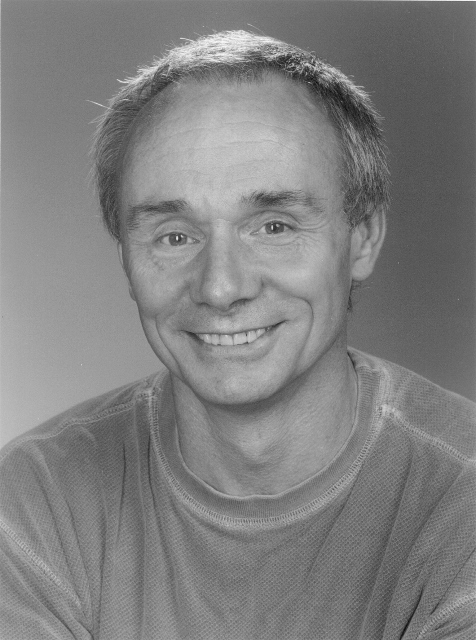 Russell directed Tony Duncan who won the juggling championships at the 1994 International Jugglers’ Association Convention, and worked with the juggler Michael Moschen in MICHAEL MOSCHEN IN MOTION at the Brooklyn Academy of Music’s 1988 Next Wave Festival and at the Lincoln Center’s SERIOUS FUN! Festival 1990. He has led circus workshops at various theatres, universities, and schools. Russell has been a juggling/unicycling instructor for the Big Apple Circus’ education program, for the S.T.E.P. summer program for New Haven inner city youth at the Yale Univer­sity gym, and at HB Studio in NY. He worked in collaboration with Jon Held, a juggler and former member of AIRJAZZ, to develop Jon Held’s solo performance piece TALES OF LUNACY. This piece was presented at the Southern Theatre during the 3 Legged Race New Theater 2002 Conference in Minneapolis and subsequently produced by Touchstone Theatre. Currently, Russell is working on THE EVENING & MORNING TIGER, a theatre piece with an eight person ensemble of actors and circus artists, commissioned by People’s Light & Theatre and Longwood Botanical Gardens.